If you saw my Boots haul a few days ago you'll know that I picked up this Maybelline Color Sensational Vivids lipsick in the shade 'Hot Plum' after it caught my eye. It's been in my life for just a few days now and already it has become one of my favourite lip products, ever. 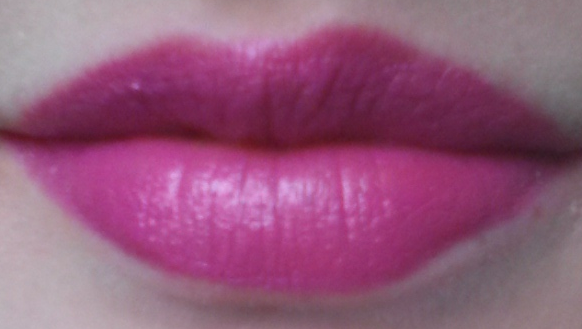 It's an extremely hot pink, verging on neon but it's surprisingly wearable... in my opinion anyway! The picture doesn't really do it justice at all. I definitely wouldn't call it a 'plum' though. One swipe of this on the lips is enough to get a really opaque colour which I'm really impressed with - I really don't like having to go over and over my lips to achieve any kind of colour at all. The finish is lovely. It has a glossy sheen to it and the lipstick itself is really moisturising on the lips which is something I look for in most lip products as I have very dry lips. But with any lipstick that I buy... for it to really impress me it has to pass the food and drink test. If I can eat and drink while wearing it and not have it either smear all over my face or disappear altogether, then it can take its place in my collection and be proud of it. I wore this out to a meal yesterday and it stayed in place perfectly. Now, considering the fact that this particular meal was a buffet and that I ate satay chicken sticks and pizza and ice cream and drank numerous glasses of water and fizzy drinks (I'm healthy, I know) I'd say that's pretty darn impressive, wouldn't you?! It's a wonderful feeling to be wearing a lipstick that's beyond bright and not have to worry about it making its way across your face gradually. I received so many complements while wearing this! 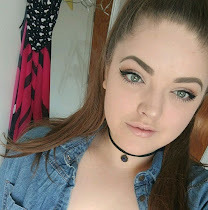 I paired it with simple make up - a light coverage foundation and winged liner so that this really stood out alone and it didn't look too much. What do you think of this lipstick? Have you tried any of the Color Sensational Vivids?